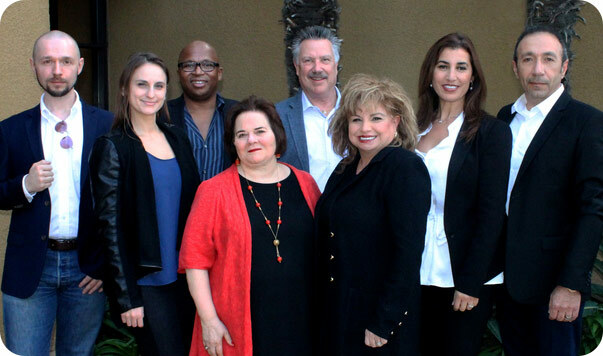 Our board is comprised of a group of experienced healthcare professionals with over 50+ years experience. Stampp is the CEO of a diagnostic laboratory company. A serial social entrepreneur, Mr. Corbin has successfully built socially responsible organizations that have achieved annual revenues of over $100 million. As a social entrepreneur, Mr. Corbin’s motto is “doing well by doing good.” For eight years, Mr. Corbin served on the Board of Trustees of Mount Carmel Health Systems, a $1.8 billion hospital system in Columbus, Ohio. He is committed to advancing the rights of those suffering from substance use disorder and advocating for those organizations that provide critical treatment service. Mr. Corbin is a graduate of Stanford University and Harvard Business School. A native of Southern California, Joan graduated UC Berkeley, served as a Peace Corps volunteer in Panama and got her Masters degree from USC. She then became a journalist, based first in Tel Aviv and then in Rome, working both the Jerusalem Post and the Calendar Section of the Los Angeles Times. With her husband, Russian film star Oleg Vidov, she owned and operated a successful film and television production/distribution company. In 2007 they co-founded Malibu Beach Recovery Center, an alcohol and drug treatment facility based on neuroscience. She served as CEO from 2007, eventually expanding operations to include a women’s only facility in West Los Angeles. Both treatment centers and an affiliated Intensive Outpatient Program were acquired by RiverMend Health in June 2014. Since then Joan has continued the advocacy work she began in 2009 for California’s proud network of addiction treatment facilities. In 2016 she co-founded the Addiction Treatment Advocacy Coalition. Jim Brady is the co-founder and co-owner with his wife, Patricia Brady, of AToN Center, 4 six- bed addiction treatment centers, located in Encinitas. AToN is licensed and certified by the Department of Health Care Services to provide sub-acute detox and residential treatment, and accredited by The Joint Commission. Mr. Brady has served as the CEO since its creation in 1988 and oversees daily operations. Mr. Brady spends much of his time on insurance related issues involving denial of care or wrongful underpayments of claims in a capacity of client advocate. This experience has given him much insight into some of the toughest issues currently being experienced by ATAC members. Mr. Brady has assisted with the board in preparation of documentation and strategies presented by ATAC to California’s insurance regulators and state legislators with the goal of helping ATAC members collect reimbursement based on the actual benefits of a client’s plan. Mr. Brady sits on both the ATC Underpayments and Legal Committees as well as serving as an active board member. He freely shares information from his long experience with the nuances of processing claims and successfully resolving claim disputes. Paul founded Summit Estate Recovery Center in 2011, converting his family property to fulﬁll his vision of a healing, holistic and clinically sound recovery center. He has overseen the growth, management, and expansion of services. Prior to founding Summit Estate, Paul was a broker and financial advisor with Morgan Stanley. Paul enjoys spending his time kite surﬁng, wakeboarding, and practicing martial arts. He has drawn upon his passion for an active lifestyle to develop the thriving wellness-based culture within his Recovery Programs. 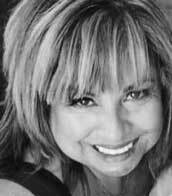 Founder and CEO of Addiction Therapeutic Services and RecoveryView., Josie Ramirez-Herndon been working in the field of Healthcare, Behavioral Health and Addiction Services for over 30 years. She was born, educated, and began her professional career at Loma Linda University Medical Center and Behavioral Medicine Center. Playing an instrumental role to the success of countless addiction professionals and treatment facilities by marketing their services and providing continuing education over the past 17 years, Josie founded and became the CEO of a national marketing and events agency, Villareal & Associates, Inc. In 2008, Josie expanded Villareal’s function to include an educational component by launching an award-winning CEU website and online journal, RecoveryView. In 2011, Josie was appointed as CEO of Oregon’s Astoria Pointe. Seeing first-hand that women CEO’s in the behavioral health care field needed a place for support and advisement, she helped found the Women’s CEO Global Alliance. Harnessing her knowledge and passion for running high-quality treatment centers, Josie launched her own outpatient treatment center in 2013, Addiction Therapeutic Services. Josie now sits on the Board of Directors of the Addiction Treatment Advocacy Coalition ATAC, expanding her leadership to include industry and political advocacy along with national speaking. He is the CEO of the Kiloby Center for Recovery and the COO of MyLife Recovery Centers. Anna Ponomarenko is a Doctor of Psychology in Organizational Management. Dr. Ponomarenko turns her understanding of human behavior into comprehensive solutions that focus on conflict resolution, effective communication, and cultural sensitivities. She has been recognized for managing substance use treatment programs and successfully trained staff in organizational policies, procedures, HR activities, and company expectations. Her experience in substance use treatment was the inspiration to her Doctoral dissertation where she developed a research-based strategic model which incorporates specific qualities for measurable and quantifiable changes towards systematic integrity. She now practices as an organizational management consultant to various industries. Sergei serves as ATAC Treasurer. His billing company AuBiCo specializes in helping facilities that take employer-funded policies get paid in accordance with the benefits actually quoted, using comprehensive audits, billing and collections services. Abe Hamideh has extensive experience in small, midsize and large business turnaround, mergers and acquisitions, start-ups, management and development of Information Systems in several industries. He is currently focused on helping heath care providers overcome the difficult challenges facing the Health Care industry today. Dr. Miriam Hamideh is a licensed clinical psychologist. She holds a Ph.D. in Clinical Psychology, a master-level certificate in Psychoanalytic Theory & Practice, and a Bachelor’s degree in Clinical Psychology. Having practiced psychology for over 20 years in diverse clinical settings, she has extensive experience with anxiety, depression, mood disorders, psychosomatic illness, relationship problems, dual-diagnoses, and substance abuse. Her psychodynamic therapeutic approach helps patients to understand how their thoughts and actions affect the way they feel. Dr. Hamideh also integrates developmental psychology, and includes cognitive-behavioral techniques, which help the learning of new skills to deal with immediate stressors and work toward deeper personal growth. In addition, Dr. Hamideh has extensive experience with cultural diversity and acculturation problems. She is a therapist who speaks Portuguese and Spanish fluently among other languages, and has worked extensively with people from diverse cultural and religious backgrounds. She teaches graduate level university courses and trains other professionals to become more culturally competent. Dr. Miriam Hamideh became a faculty member of the Psychology Graduate Program at California Lutheran University in 2002, where she taught for six years. She is currently a member of the Graduate Psychology Advisory Council for CLU.